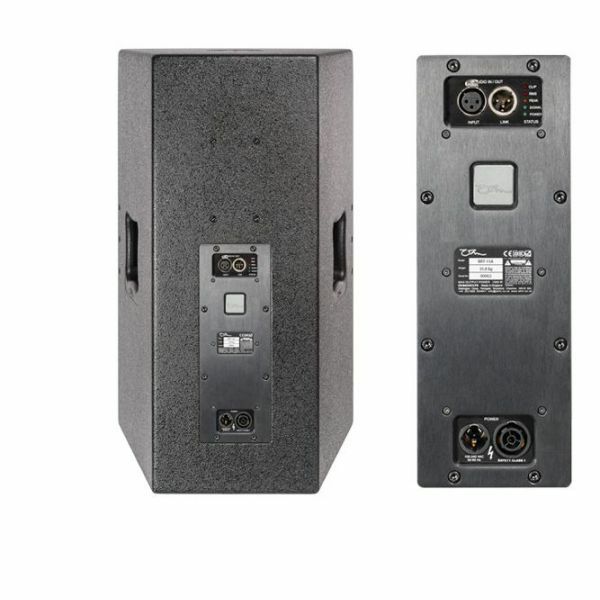 The BRT-15A is a high performance 1 kW self-powered loudspeaker which is ideally suited to both portable use and fixed installation. 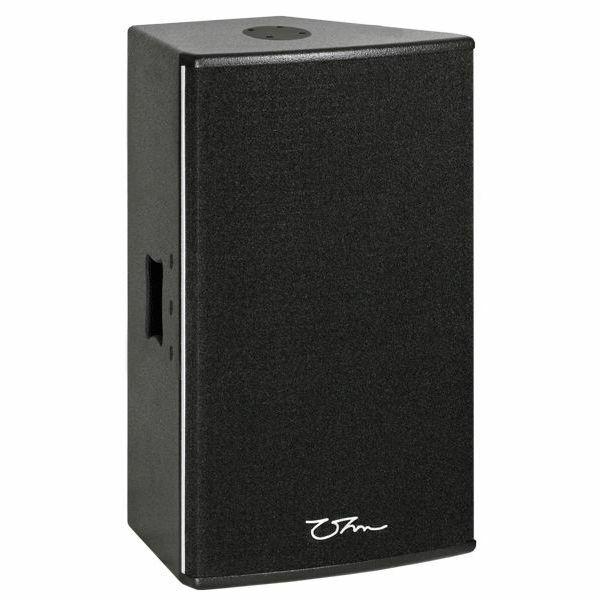 Using two high-power 500 w Class D amplifiers with integrated DSP, these self-powered cabinets have dedicated amplification for each component, removing crossover distortion and increasing audio quality. Full FIR filtering achieves further detail and definition with a factory calibrated, pre-set coupled with RMS and Peak limiters ensure the drivers stay within safe parameters. 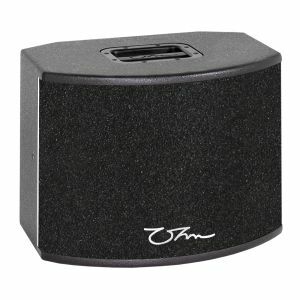 Designed with an OHM 15” proprietary woofer and 1.5” compression driver, the internal DSP ensures a linear, usable frequency response of 47 Hz to 20.2 kHz across 60°x 40° dispersion with rotatable horn with a maximum SPL of 134 dB. Mounting options include integrated aluminium top-hat and horizontal cradle fixing points for use with the BRC-15H Horizontal, BRC-15V Vertical Yoke and rear mounted pan and tilt bracket PTL. Other fixings can be used with this cabinet such as the fixed large wall bracket (LWB) and pan and tilt wall bracket (LWB-PT). This product is also Powerdrive compatible with the type 100 plate products. The rear connection plate has two input and two link XLR connectors and a powerCON® TRUE1 input and link fitted as standard. 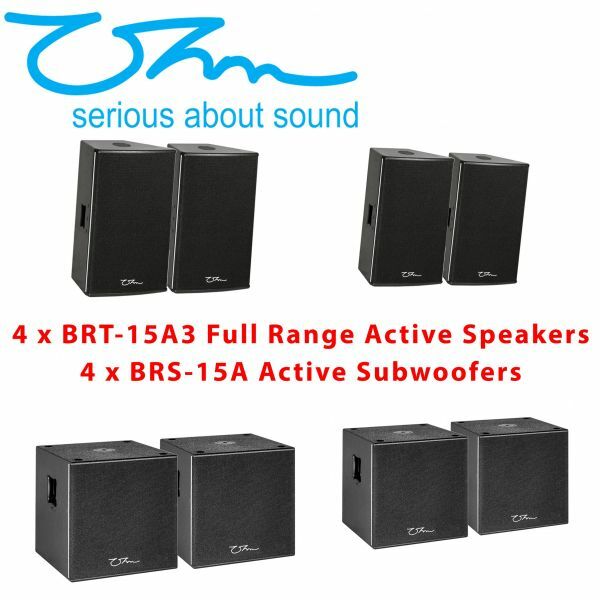 BRS-15A3 is a compact, 3 channel self-powered subwoofer designed for installation or portability. With a low frequency of 45 Hz and fast response time of the 15” proprietary driver, the BRS-15A3 is capable of 135 dB SPL. Weighing 34.1 kg with integrated handles this product is perfect for portable use. With discreet installation in mind, the 500mm square design allows for easy installation in tight corners. 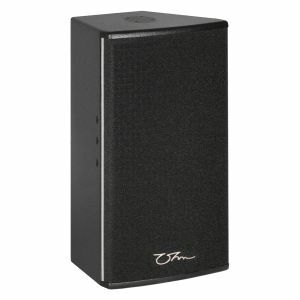 The BRS-15A3 incorporates a 1 kW Class D amplifier with a passive subwoofer channel plus 2 x 500W mid high outputs. 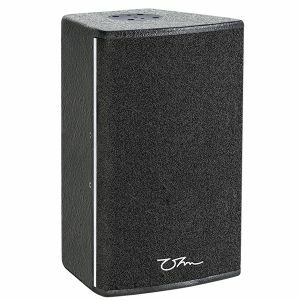 This unit encompasses all the power for a complete system controlled by Ohm’s pro-A-sync DSP software through an Ethernet interface. Integrated FIR-filtering combined with RMS and look-ahead Peak limiter ensures total system protection against user error. With rear mounted touch display for loading saved pre-sets, altering and viewing system status and output gain. 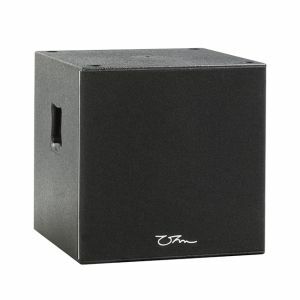 BRS-15A3 is a 15” reflex tuned subwoofer to be used with passive BRT series of mid high cabinets extending low frequency response. This conventionally shaped cabinet can be hidden against a wall or under seating. When used in multiples the BRS-15A3 can cover a large room and still blend in nicely to the interior. The discreet design with reticulated foam front and acrylic textured paint finish and multiple integrated fixing points achieves a high class look suitable for any application. Two input and two link XLR connections along with Neutrik® powerCON® TRUE1 input and link are provided on the amplifier connection plate. Two 4 pole SpeakON® connectors for mid-high outputs are wired on pins +1-1 on channel A and B. The second ‘shared’ subwoofer output is wired on channel B pins +2-2. BRS-15A3 is a compact, 3 channel self-powered subwoofer designed for installation or portability. With a low frequency of 45 Hz and fast response time of the 15” proprietary driver, the BRS-15A3 is capable of 135 dB SPL. Weighing 34.1 kg with integrated handles this product is perfect for portable use. With discreet installation in mind, the 500mm square design allows for easy installation in tight corners. The BRS-15A3 incorporates a 1 kW Class D amplifi er with a passive subwoofer channel plus 2 x 500W mid high outputs. 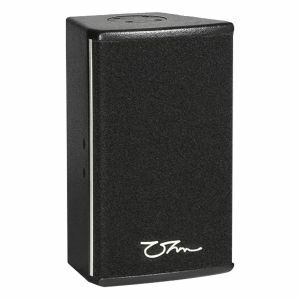 This unit encompasses all the power for a complete system controlled by Ohm’s pro-A-sync DSP software through an Ethernet interface. Integrated FIR-fi ltering combined with RMS and look-ahead Peak limiter ensures total system protection against user error. With rear mounted touch display for loading saved pre-sets, altering and viewing system status and output gain. 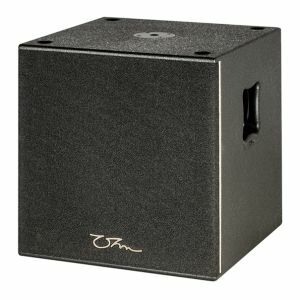 BRS-15A3 is a 15” reflex tuned subwoofer to be used with passive BRT series of mid high cabinets extending low frequency response. This conventionally shaped cabinet can be hidden against a wall or under seating. When used in multiples the BRS-15A3 can cover a large room and still blend in nicely to the interior. The discreet design with reticulated foam front and acrylic textured paint fi nish and multiple integrated fi xing points achieves a high class look suitable for any application.